Madrid (Spain) – January 19, 2018 (travelindex.com) – Turismo de Portugal I.P (Portugal), Ecotourism Trust (India), Tryponyu (Indonesia) and SEGGITUR (Spain) are the winners of the 14th Edition of the UNWTO Awards for Innovation in Tourism. 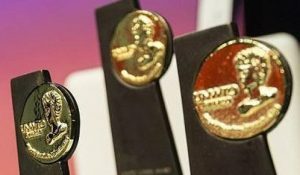 Fourteen projects among 128 applicants from 55 countries were selected as finalists of the 14th UNWTO Awards for Innovation in Tourism. Book your hotel and around the world in 55 countries at best rates available. Pay at the hotel. Book now at HotelWorlds.com! The winning projects, divided into four categories – Public Policy and Governance, Research and Technology, Enterprises, and Non-governmental Organizations –, have been announced at the UNWTO Awards Ceremony held tonight in Madrid at the International Tourism Trade Fair in Spain (FITUR). “Today we honour the vision and commitment of individuals, administrations, companies and organizations that every day build a better future by harnessing the potential of tourism. The work of all the finalists of the 14 UNWTO Awards on Innovation is an inspiration to all of us”, underlined UNWTO Secretary-General, Zurab Pololikashvili, in his opening remarks. Attended by nearly 500 participants from different countries, the UNWTO Awards Ceremony, co-organized by IFEMA|FITUR, emphasized how the tourism community has embraced sustainable and innovative approaches. The UNWTO Awards for Excellence and Innovation in Tourism are held annually to highlight and promote the work of organizations and individuals around the world that have impacted the tourism sector. Their achievements have served as an inspiration for competitive and sustainable tourism development and the promotion of the values of the UNWTO Global Code of Ethics for Tourism and the Sustainable Development Goals.